We are fiduciary fee based advisors who specialize in providing customized solutions to our clients. We install and monitor 401(k), 403(b), 457 and defined benefit plans for our profit and non-profit clients. Maintaining a retirement plan for your company can be a difficult task – especially considering everything else that goes into running a business. We can be a valuable ally and time-saving resource, helping you develop and maintain a solid strategy for your retirement plan. You will receive personalized attention and involvement at every level. Employers strive to offer a benefit that will attract and retain employees while keeping costs down and maintaining proper compliance to avoid liability and lawsuits. Our services are designed to do just that. We will monitor your plan on a monthly basis and have regular communication with the people responsible for administrating your plan. A plan is nothing if not properly communicated to employees. Simply having a retirement plan does not mean you will retire with adequate financial reserves. This Information is intended for use only by residents of (AZ, CA). Securities-related services may not be provided to individuals residing in any state not listed above. Insurance-related may not be provided to individuals residing in any state other than Arizona and California. Copyright © 2019. 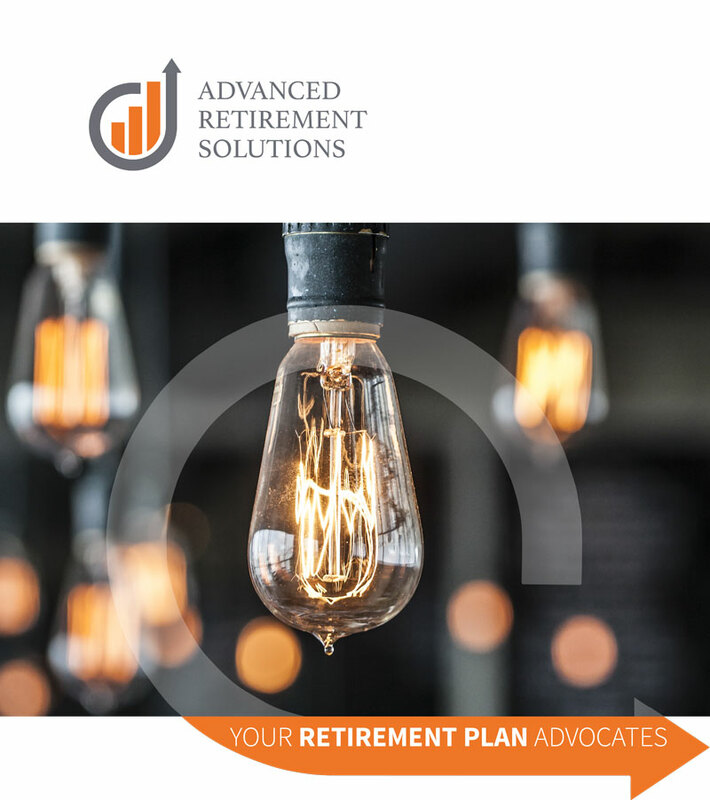 Advanced Retirement Solutions All rights reserved. Copyright © 2019 Advanced Retirement Solutions. All rights reserved.